The Glyn Hopkin Group runs over 40 dealerships in southeast England, covering areas like Middlesex, Hertfordshire and Cambridgeshire. They have 14 Nissan showrooms and nine Fiat showrooms, making Glyn Hopkin Group dealerships one of the UK’s largest independent suppliers of both manufacturers. Glyn Hopkin offer new and used cars for sale from some of the world’s biggest automotive brands, like Alfa Romeo, Honda, and Renault. Aside from this, there is over 40 service centres for repairs and MOTs. With over 2,500 used vehicles alongside brand-new models, Glyn Hopkin offers plenty of choice. Founded by Glyn Hopkin, the company has over twenty years of experience in the automotive industry. They opened their first dealership in 1993 in Romford and have steadily grown through acquisitions, and by taking on new franchises. Today, they sit amongst the UK’s most successful car retail groups. In 2015, the company celebrated the sale of their 100,000th Nissan and the lucky purchasers of the car (a Nissan Leaf) were awarded with a £5,000 cheque and a bottle of champagne. The current Managing Director of Glyn Hopkin is Fraser Cohen, who continues to steer the company with values focused on customer care. A Glyn Hopkin dealership sells vehicles from a range of leading automotive brands, stocking sports cars like the stunning Nissan GT-R, and compacts such as the Nissan Juke. As well as these, they have a wide variety of saloon cars and other models. The company has both new and used vehicles for sale. They cater to all kinds of needs, whether you need an economical city car or something meatier, like a turbo-charged 1.7-litre engine Alfa Romeo 4C Spider. 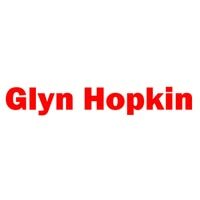 Glyn Hopkin dealers also stock vans, and offer finance options for anyone looking to buy a vehicle.